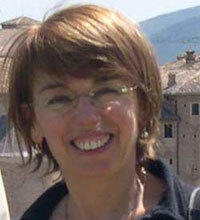 MARINA MICOZZI is Associate Professor at the Department of Sciences of Cultural Heritage at Università della Tuscia, where she teaches Etruscology. She oriented her research primarily towards Etruscan and Italic Archeology and she dedicated specific works to culture and crafts of Southern Etruria during the Orientalizing and Archaic periods and to aspects of bronze production in the Middle-Adriatic and Golasecca cultures. She is in charge of the Etruscan section of the EMAP together with Emiliano Li Castro.